Posts with tag: "fine art photography"
There’s a little unsightly nook in our apartment just between the couch and my favourite Calathea. And regardless of what I do, it is always a mess of jumbled white wires, plugs, and chargers. Sometimes it reminds me of the scene in Indiana Jones Raiders of the Lost Ark where Indiana Jones is dropped into the Well of Souls where he comes face to face with a slithering tangled mess of pythons. I exaggerate… but between the wires for the mobile phones, tablets, laptops, e-reader, camera equipment, modem, and our lamp; it gets overwhelming. We live in a digital age of touchscreens where we can have anything we want at a swipe or a tap. It’s amazing but I’ve realized it comes at a price. When I was studying for my Montessori certification years ago, one thing that made such an impression on me was when we discussed sensorial learning and its importance in child development. See, everything that is not digital but tangible engages ALL our senses and gives our minds and bodies feedback. This feedback is what allows us to learn and experience the world with all of our faculties. There’s a huge difference between reading your favorite novel in a paperback or limited edition or on an e-reader. The e-reader is fantastic, you can carry an entire library in your bag and even read it in the dark (no flashlight required!!). Practical and extremely convenient. However, your experience dramatically changes when you pick up a physical book. The weight of the book in your hands, the act of opening the book and turning a page, the minute breeze you feel against your face when you turn a page, the texture of the paper against your fingertips, or even the fragrance that the page wafts to your nose. It’s not just about the words on the page. And over time, the experience changes. You can always tell which book has become a favorite; the fingerprint marks on the pages, the creases in the spine, the dog-eared corners, or the underlined passages that are adored. All of this tells a story. It’s a story of experience, enjoyment (or lack of) and value. I have no qualms with my Ipad or my other digital devices. They are so unbelievably practical. But to me that’s all they are: practical. On their own, they tell no story, but must be turned on and used as a vehicle to get me where I need to go (digitally). But we forget. I forget! What began as a tool to get me somewhere or something can itself become the SOMETHING that I strive for.  When I started this journey on rediscovering how to marvel and relaunch monaelisaphoto, I debated whether to create digital products or physical art. I’m embarrassed to say that the last time I printed a photograph must have been at least 4 years ago and I was still doing portraiture at the time! A photographer who doesn’t print their own photographs? Insane! While in the testing phase over the last year we printed many samples on so many different types of papers with diverse finishes, textures, weights – and it was GLORIOUS. The photographs and images became so much more alive than what I could have hoped for or even imagined. There’s such a difference in seeing your art for REAL, as opposed to on a digital screen. It’s mind blowing. And the story these pieces tell changes every day and throughout the day—and that’s all thanks to the light or lack thereof where they decorate our walls. We’ve found a phenomenal laboratory in Germany that utilizes excellent archival inks with an exceptional color gamut. With much testing, we decided on a bright white torchon archival paper (285gsm) as our medium. Torchon comes from the French word that means “course structure”. It has the same texture as watercolor paper and it’s simply sublime. The details that you see in the highlights and shadows are beautiful, and gives the image a sense of three dimensionality that other paper simply cannot. It was almost a pity to frame these pieces as it felt like it took away from the sensorial experience of the paper, and how the light influences what you see as it hits it or is reflected from it. And yes, the texture of the paper on your fingertips even feels lovely (although I don’t recommend ‘feeling up’ your prints). I’m so very proud of our final product. I wish there was a way that I could have each of you over so that you could see with your own eyes the difference between seeing our work in person versus on a digital screen (preferably with a glass of wine, and your favourite song playing in the background). In an age where we tend to value things on the cheap because they are fast, convenient and fulfill our immediate desires, we often forget the beauty that comes with craftsmanship, quality and longevity. It’s difficult to remember amongst the clutter, the noise and all the various things that vie for our attention what it is that truly speaks to us, restores us from our weariness and makes us marvel again. In a digital age, something real is so worth the investment. What experiences do you miss the most in this digital age?